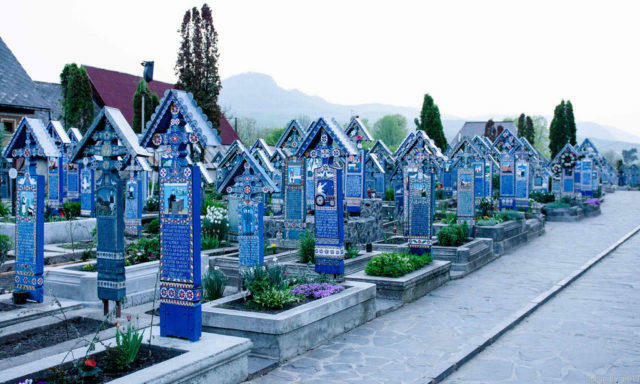 A well-known cemetery in the village of Săpânța, Maramureş county, Romania, called Merry Cemetery, is a cemetery that is famous across the world for its unique way of looking upon death. It is not a sad event, but it is a celebration of life that has ended. 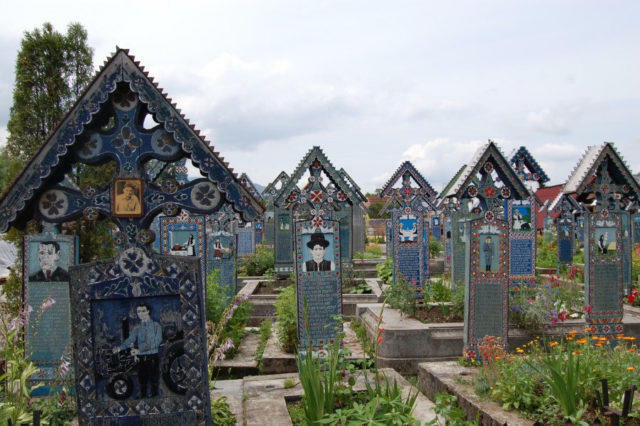 Distinguished for its colourful tombstones, the naïve paintings on it describe the people entombed there including scenes from their lives in a poetic and original manner. 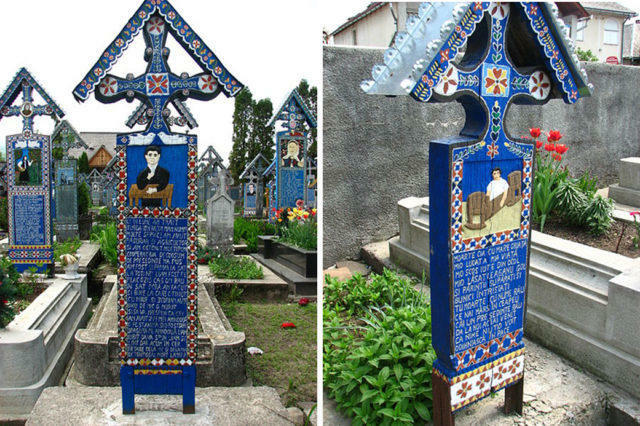 Stan Ioan Patras was the man who started the tradition of these crosses in 1935. He was a woodworker, a poet and a painter. 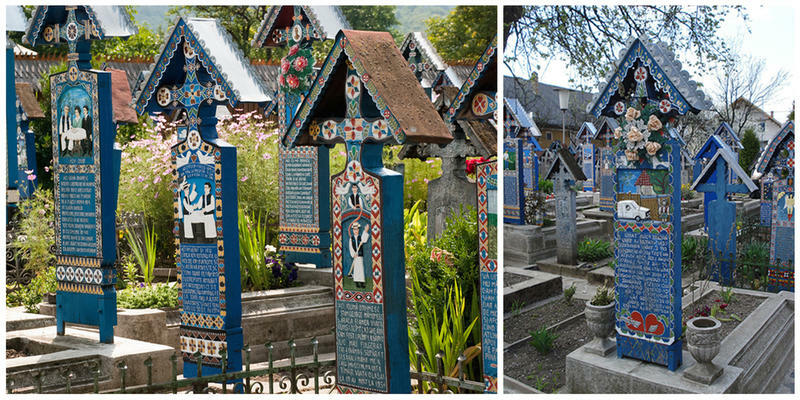 For over 50 years, Ion Patras designed hundreds of crosses and tombstones. 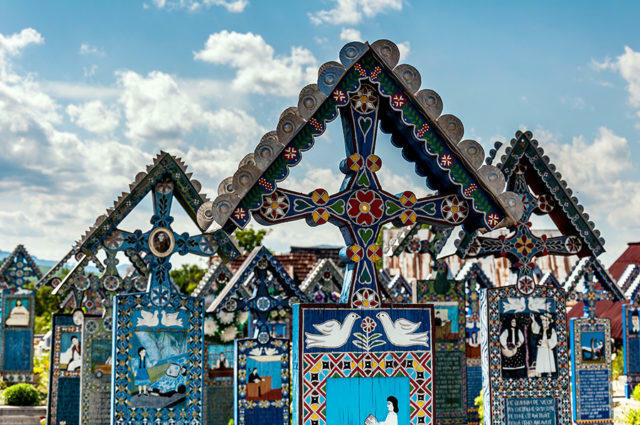 Patras carved the crosses out of oak and painted them blue, sprinkling in bits of color like red, yellow or black. 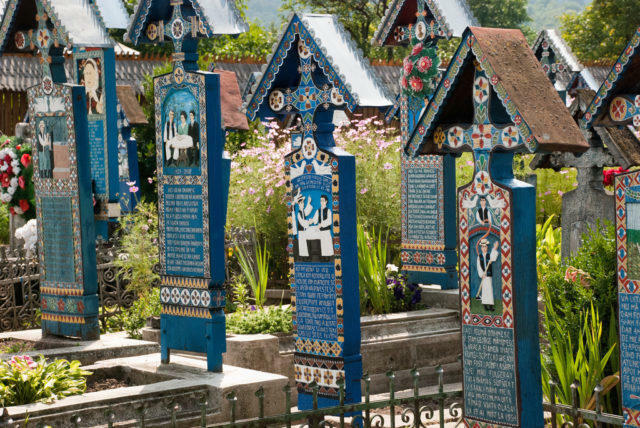 He painted the crosses in order to protect them from rain and frost, thus making them last longer. In the upper part, there is a painting that depicts the person who passed away, while underneath, is a poem. Patras would usually write these little poems himself after getting to know the deceased through his/her family. As of the 1960s, more than 800 of such oak wood crosses came into sight. 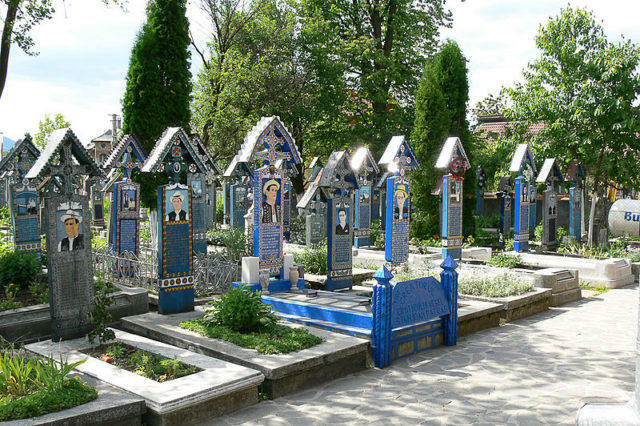 An exceptional feature of this burial ground is that it differs from the prevalent belief which is culturally shared within European societies – something that views death as indelibly solemn. 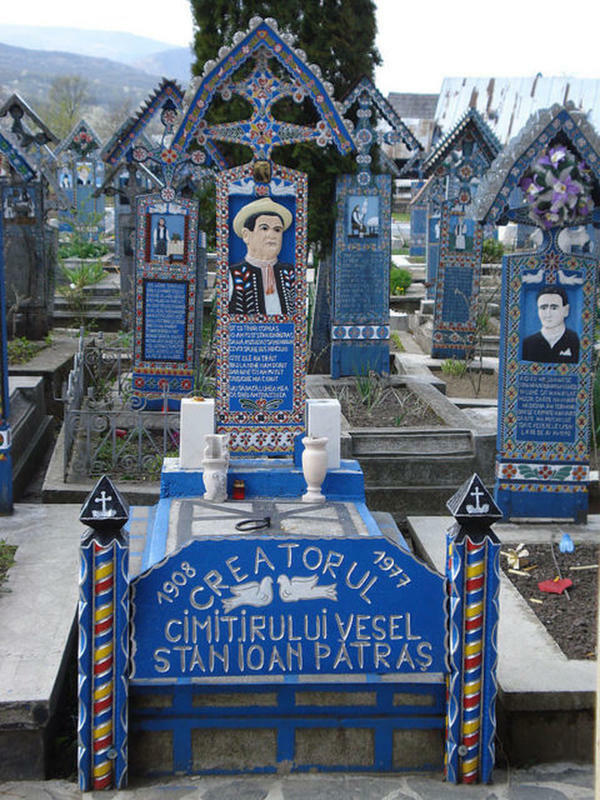 Stan Ioan Pătraş carved the crosses until his death in 1977. This is his tombstone. So she’ll not return from her grave.